Romance and sass go hand in hand with Honor. This stunning fit and flare gown is made even more special with the gorgeous floral motifs placed on the skirt and the bodice. Choose whether you want to have the cheeky unlined version or stay more modest with the bodice lined. In either version of this dress you will feel like a million dollars. ​Available in Ivory only. 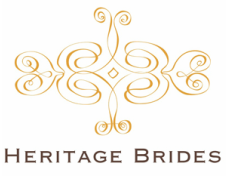 The sample at Heritage Brides will be the unlined version.